9:30 a.m. Sunday at the Varsity. A transfixing, artfully wordless pilgrimage across the desert toward salvation. Told entirely through movement. This documentary (made by the director of Boone) follows four women over three years as they grapple with varying stages of gender transition. A celebration of our award-winning films. This is event is SOLD OUT. Watch our Facebook page for an announcement of the winners! Today (Sunday) at 10:00 a.m. at the Ashland Springs Hotel. Today (Sunday) from 3:00 to 4:30 p.m.
Join your fellow film enthusiasts for a facilitated post-film discussion at the Elk's Club. Enter from the rear. There is NO public parking allowed in the Elk's parking lot. FREE. NO TICKET REQUIRED. Show us how you fest! Share on Facebook, Twitter and Instagram your favorite AIFF2016 moments, photos and films. 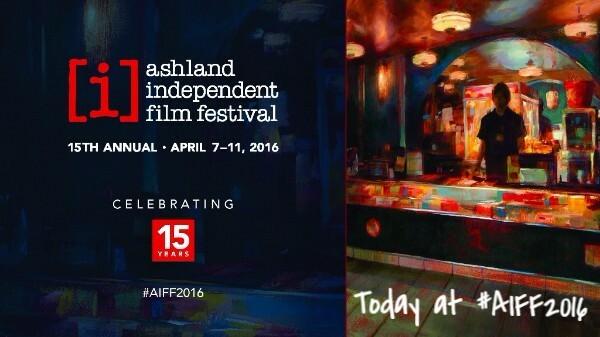 Don't forget to tag us @ashlandfilm and use our official hashtag #AIFF2016. Every day we will feature photos from the previous festival day. Stay tuned for highlights! Find more AIFF2016 photos on Flickr at flickr.com/ashlandindependentfilmfestival. Check out some of the Day 3 photos below!